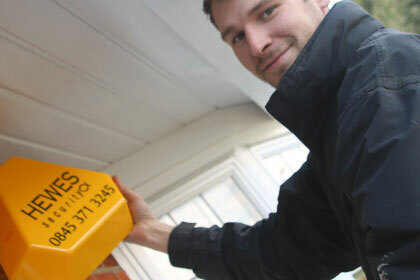 Our Basildon alarms will help keep out intruders for both businesses or a homeowners. Hewes Security will provide a professional installation with high quality alarms so to help ensure you and your property is safe. With our burglar alarms you can have the system monitored 24/7 so when you are not in the property you can either use a self monitoring system that allows you to check your property with your phone or we can provide you an around the clock monitoring service.